This simple necklace consists of a Green Girl Shibuichi key suspended from a strand of Japanese Keishi pearls with a bit of hand-dyed silk ribbon. I usually wear this necklace layered up with a few others but as I’ve dispensed with that device for the year it stands alone. The tiny pearls are strung unknotted on white silk and finished with 14k gold bead tips and a lobster-claw clasp. 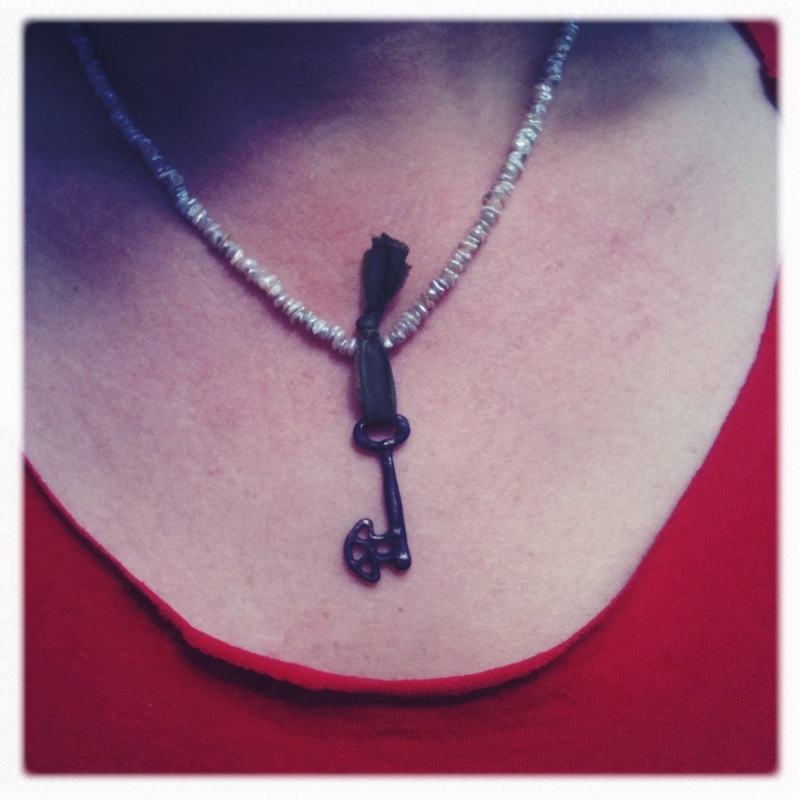 This necklace is so simple: pearls, ribbon, key. I think it works because each of the three elements are a bit off. The pearls are very textured, the ribbon has a variegated dye and the cast key is obviously hand-made and not functional.